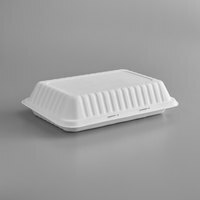 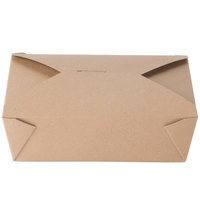 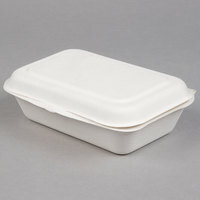 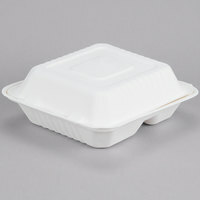 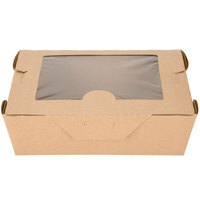 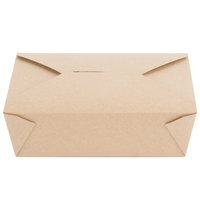 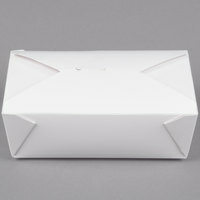 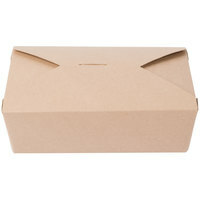 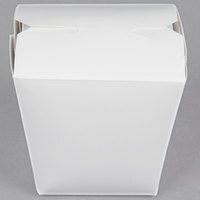 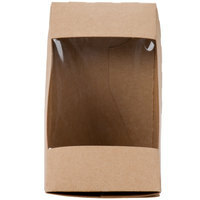 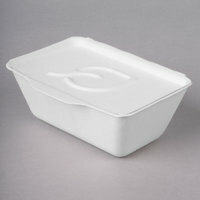 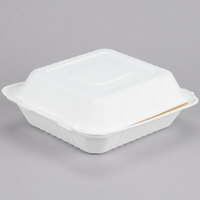 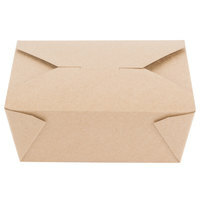 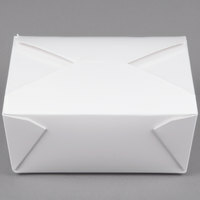 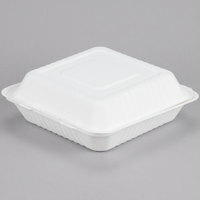 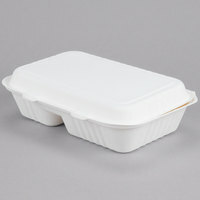 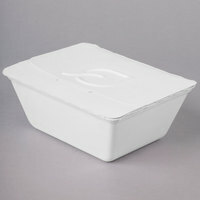 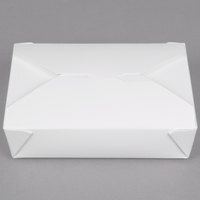 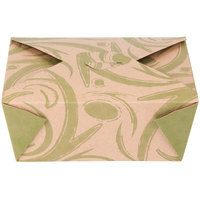 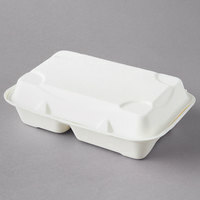 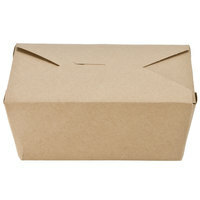 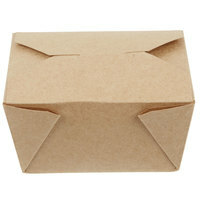 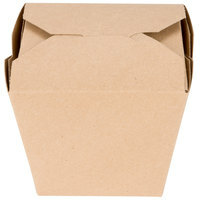 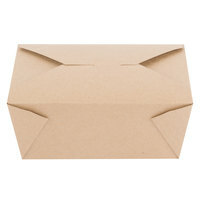 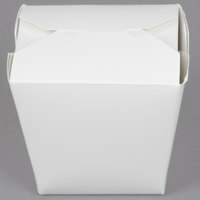 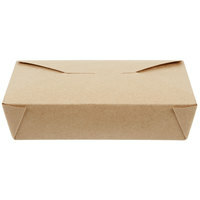 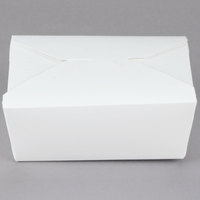 Biodegradable containers offer an eco-friendly solution to packaging customers’ carryout orders or leftovers. 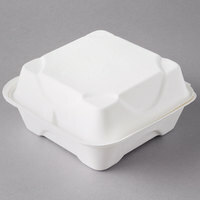 All of these eco-friendly take-out containers are designed as green alternatives to more common foam materials that are harmful to the environment. 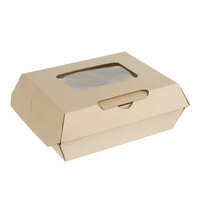 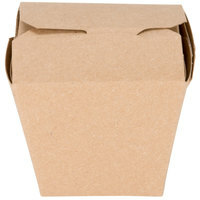 Made from renewable materials like sugarcane and recycled Kraft paper, these biodegradable containers are sure to lessen the carbon footprint of your business and impress customers who are concerned about the environment. 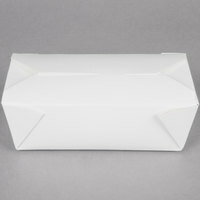 Also make sure to check out other great items from Choice, EcoChoice, Bagcraft Papercon, Eco Products, Fold-Pak, Green Wave and Solo Bare. 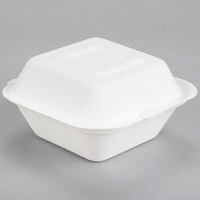 These take-out containers feature one spacious compartment that has plenty of room to take leftovers home or deliver a meal to go. 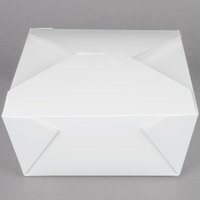 Our two-compartment take-out containers allow you to place a side and an entree in the same box without them mixing together in transit. 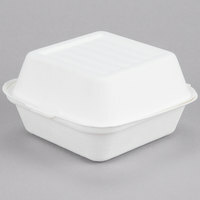 This selection of take-out containers features three separate compartments so you can transport entrees and two additional sides without them mixing together. 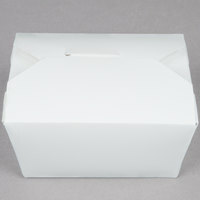 This selection of take-out containers features a clear window that allows your customer to easily see and identify their food choices without having to open the box. 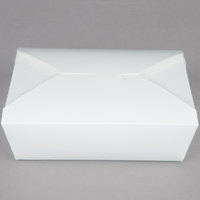 These take-out containers are customizable so you can add your logo to the outside of the packaging and have your customers take your brand with them as they go. 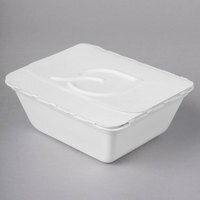 These freezer safe take-out containers can withstand low temperatures and can be safely stored in the freezer so meals can easily be saved for later. 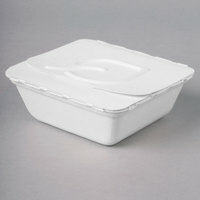 Our grease-resistant take-out containers have a coated interior to prevent oil and grease from soaking through the material, keeping your countertops clean. Our microwavable take-out containers are a convenient way for your customers to heat up leftovers after they have left your establishment. 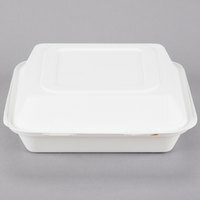 These take-out containers are recyclable. 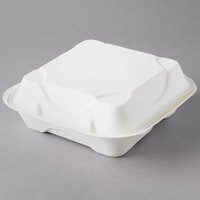 They are an environmentally friendly option, as they can be recycled under some recycling programs. 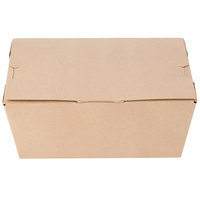 Corrugated Cardboard boxes are sturdy and made from natural fiber. 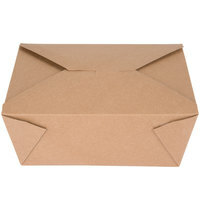 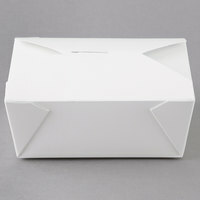 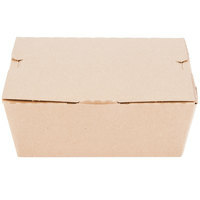 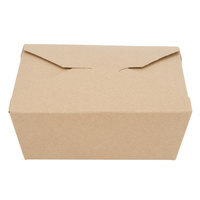 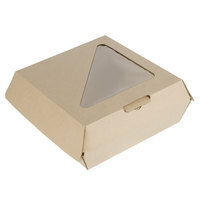 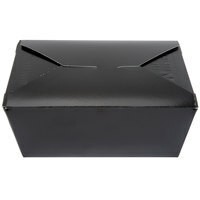 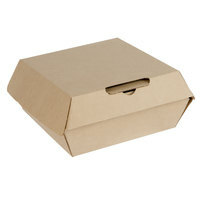 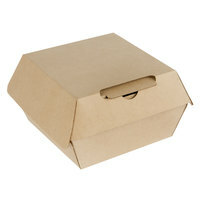 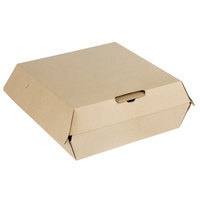 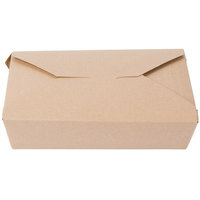 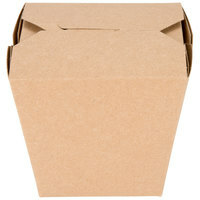 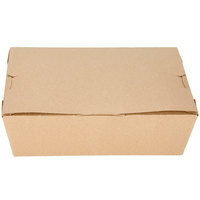 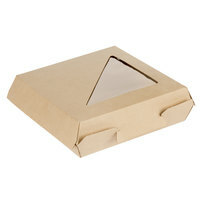 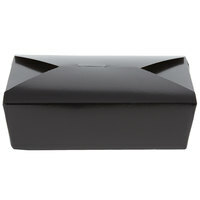 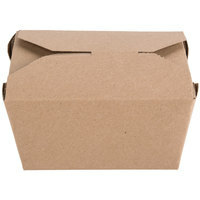 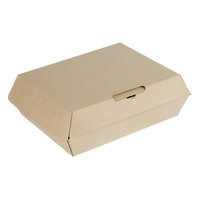 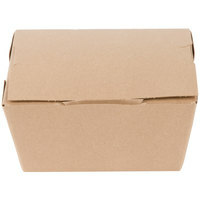 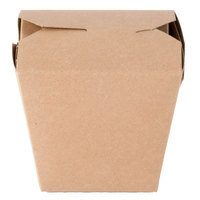 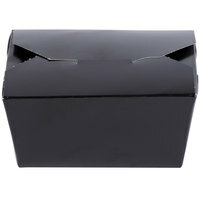 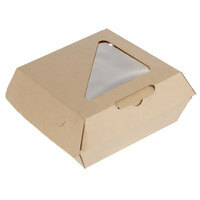 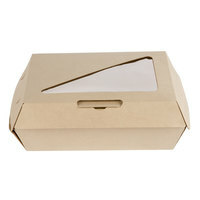 Paper boxes are versatile to store and carry a wide range of food. 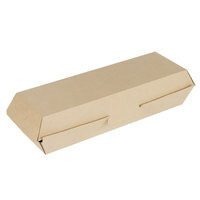 These post-consumer paperboard boxes are made out of recycled materials. 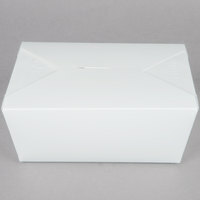 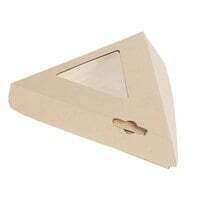 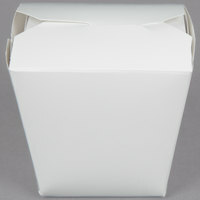 Sugarcane/bagasse boxes are made of eco-friendly sugarcane fiber. 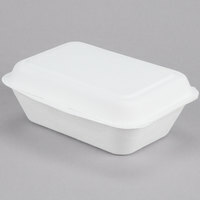 Each biodegradable food container we offer comes in a variety of different shapes to accommodate either solid foods or liquids for maximum convenience. 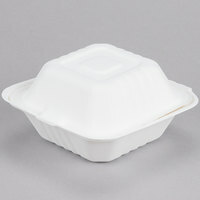 Our biodegradable food containers also come in a number of different sizes to hold virtually any amount of food, and several dozen of them are microwave safe so that customers can conveniently heat up their favorite leftovers and eat it out of the same container. 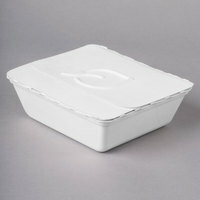 Our selection of eco-friendly takeout containers is supplied by some of the most reputable and trustworthy name brands in the foodservice industry. 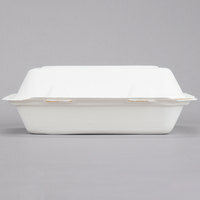 And, with so many items from which to choose, finding the right eco-friendly takeout container that suits the format, style, and personality of your business is easy. 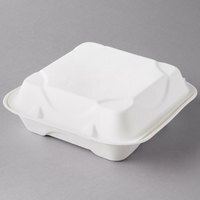 For more options on green products, check out our categories of biodegradable plastic flatware, bamboo dinnerware, and recycled plastic cups. 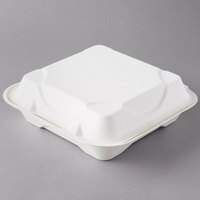 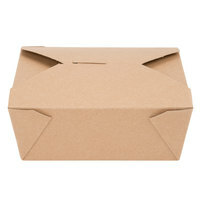 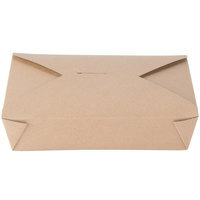 If you're wondering where to buy eco-friendly, biodegradable & compostable paper take-out containers, we have a large selection of eco-friendly, biodegradable & compostable paper take-out containers for sale at the lowest prices.